Hypertensive Urgency in the Office: Should You Send the Patient to the ER? You’re in the office seeing a patient, and take a look at the vitals. Blood pressure 190/110. Being the diligent physician you are, you recheck the blood pressure manually, in both arms, after having the patient relax in a quiet room for 5 minutes. 190/110. There are no symptoms. What do you do? The situation I just described is known as hypertensive urgency, which is a systolic pressure over 180 or a diastolic pressure over 110 without any evidence of end-organ damage. And what to do with patients in this situation is a clinical grey area that, thanks to a manuscript appearing in JAMA Internal Medicine, may finally be seeing the light of day. The study, out of the Cleveland Clinic, gives us some really important data. Here’s how it was done. The researchers identified everyone in that Healthcare system who had an outpatient visit with hypertensive urgency over a 6-year time frame. Of over 1 million visits – just under 60,000, about 5% - had blood pressures consistent with hypertensive urgency. Now, some of those individuals were sent to the hospital for evaluation, the rest were sent home. What percent do you think went to the hospital? If you answered “less than 1%”, you’re spot on and a way better guesser than I am. I actually assumed the rate would be much higher. Now, how can we evaluate whether sending someone to the hospital is the “right” move. And let’s not fall into the assumption that sending someone to the hospital is a “safe” option. Those of us who work in hospitals will quickly disabuse anyone of that notion. The problem is that those who got sent to the hospital were doing worse than those who got sent home. 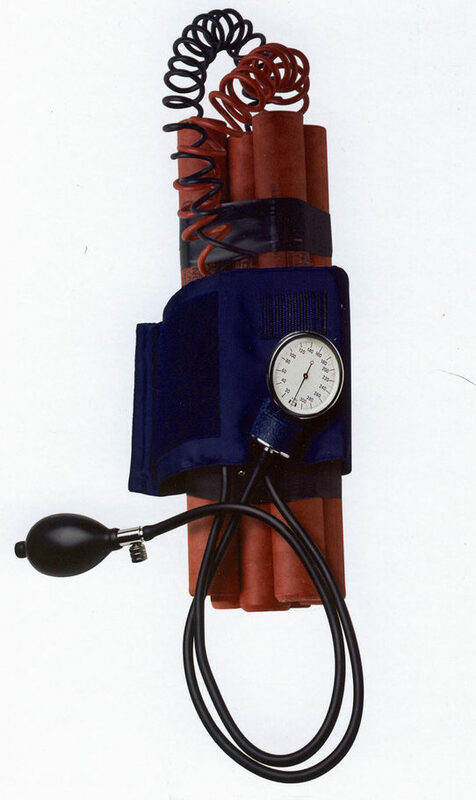 They had higher blood pressures in the “urgency” range, with a mean systolic of 198 compared to 182 in those sent home. To create a fair assessment of the effects of sending someone to the hospital, the authors performed a propensity-score match. Basically, they matched the people who got sent to the hospital with people of similar characteristics that didn't. Comparing the matched groups, they found… nothing. No increased risk of major adverse cardiovascular events. In other words, the people sent home weren’t having strokes during the car ride. One thing I did note was that those sent to the hospital were much more likely to have a hospital admission sometime in the next 8 – 30 days compared to those who got to go home. This either means that some bad stuff happens in that initial hospital referral that leads them to bounce back later in the month or, and I’m favoring this interpretation here, the propensity match didn’t catch some factors that predisposed the hospitalized people to hospitalization in general – factors like socioeconomic status, for instance. If that’s true, then we’d actually expect the hospitalized group to do worse than their controls. The fact that they didn’t may argue that the hospital actually did something beneficial. But we are way down the causality rabbit hole here. In the end I take home two things from this study. First, the shockingly low rate of referral to hospital for hypertensive urgency. Seriously – is this just a Cleveland Clinic thing? Feel free to let me know in the comments. And two – that for the right patient, a dedicated outpatient physician can probably do just as much good as a costly trip to the ED. Birth at 41 Weeks = Baby Genius?